Eddie Collins' part-time actor pursuits take on a new dimension when his ex-wife, Elaine Weddington, turns up dead while filming her latest movie Flames of Desire. The production's insurance company hires Eddie to represent their interests in the Americana Pictures film. Private eye is his main gig now, although he doesn't turn his back on acting jobs when they come his way. Elaine was a star of sorts, though her pictures were B-movies and never up for major awards. Encroaching middle age meant her leading-lady days were numbered, and she worked with a lot of jealous wannabes. Did one of them off her? What about her personal assistant or live-in boyfriend? While searching through Elaine's trailer, Eddie finds a list of initials with corresponding phone numbers. As he gradually ticks off the entries, he begins to form an unwelcome, less idealized version of Elaine. Then an assistant director is killed as she is about to share a damning revelation. The quest to identify one set of initials almost puts him in the hospital. Can Eddie handle the truth? Will it set him free, or kill him? 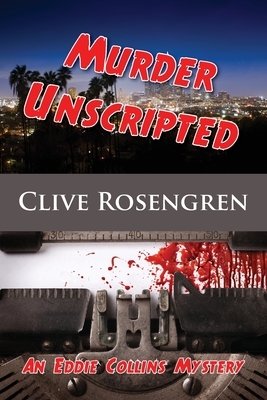 Originally published in 2012, Murder Unscripted was a finalist for the Shamus Award. Book 1 in the Eddie Collins Mystery series.